The Neurodiversity News Show, hosted by the DifferentBrains.org staff. Today’s host: Adrienne Marie Sassano! (3 mins) In this episode, a father creates a comic book character with Down syndrome for his son, Luke Bryan meets a special fan with apraxia, and how can robotic legs help children with cerebral palsy walk? These stories and more in this week’s episode! [00:11] A father has created a comic book character with Down syndrome for his son that has the same condition. [00:39] In Illinois a school district has introduced a robot to assist students on the autism spectrum. 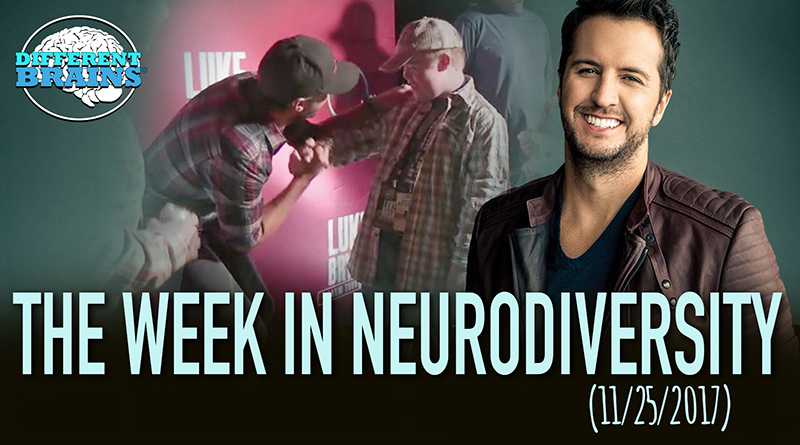 [01:13] Luke Bryan got to meet a fan with apraxia, who learned how to pronounce the letter “k” by saying his name. [01:31] Over in Colorado, a thrift store is helping those with disabilities find not only employment, but also a home away from home. [01:58] A robotic exoskeleton is helping children with cerebral palsy walk. 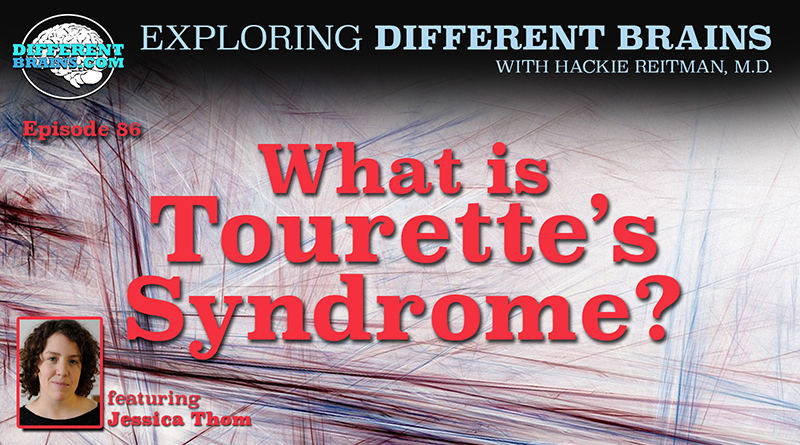 (20 mins) In this episode, Hackie Reitman, MD. speaks with British advocate Jessica Thom. Jess was diagnosed with Tourette’s syndrome at the age of 20, and is the co-founder of Touretteshero, as well as an artist, playworker, fundraiser. 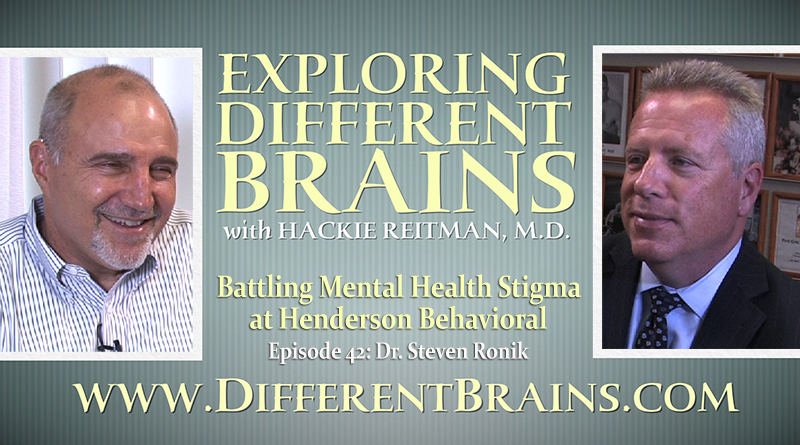 In this episode, Dr. Hackie Reitman sits down with Steve Ronik, the CEO of Henderson Behavioral Health. 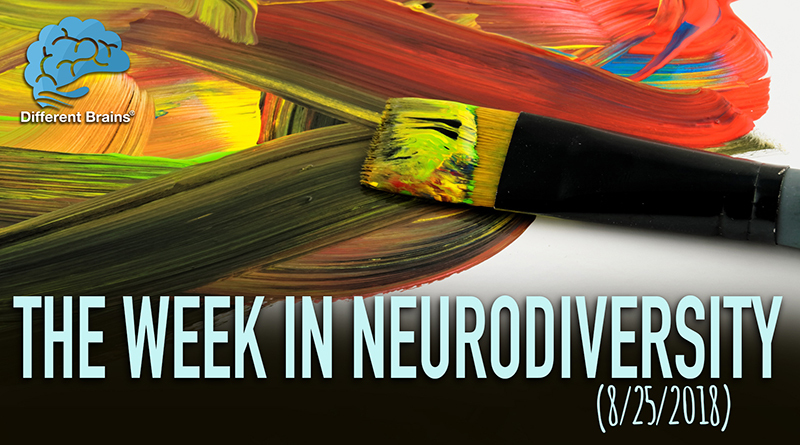 (3 min 30 sec) In this episode: a nonverbal girl with Down syndrome uses art to tell her story, NYU studies a an under-examined symptom of Parkinson’s, a pair of twins with autism have a love for running marathons, and more!